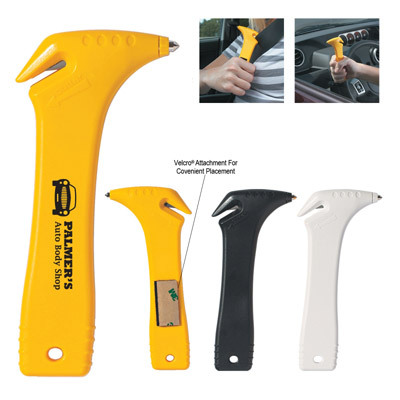 Personalized Embergency Safety Belt Cutter Custom Printed in Bulk or Blank. Promotional, Inexpensive. On Sale! Budget Prices in the USA and Canada. The unit prices below include your 1-color custom imprint on one side. We also supply blank (not custom imprinted) Embergency Safety Belt Cutters at discounted prices.